Ryan Witting recently did a great interview with Roddy Piper’s son, Colt Toombs, on his Rockin’ You All Night podcast. In it, Colt discussed following in his father’s footsteps as a wrestler, and what advice he got from his legendary teacher. 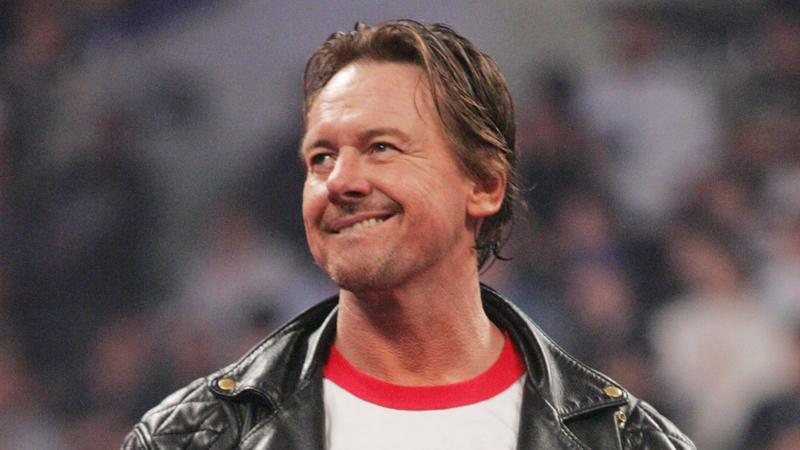 I learned from Dad [Roddy Piper]. Dad didn’t get into wrestling for fame. He did it simply for money, to feed his family. So, a lot of these people want to grow up and they want to become pro wrestlers. So, they go to school, they go to college, and they find some camp, and they start pro wrestling. I grew up as a fighter. My first fight, martial arts wise, was (when I) was about 6 years old. We did so many. Martial arts fights, over the years, I must’ve had 6 or 7 hundred. Then, I got into actual fighting. I’ve just been fighting my whole life. It’s what I’m good at. I don’t look at it as, “I want fame. I want money.” Don’t get me wrong, but I don’t look at it as that. I look at it as, ‘I want to feed a family.’ If in 5 years, I can be wrestling full-time still, training still, full-time, and keep my family well-fed. If they want to go and blow a bunch of money on Christmas, I want to be able to do that. That is all I want out of life. I want to be financially secure enough so that we can go jump off and go to Hawaii for a weekend, if we want, and make my family have the best life possible. That is all that I am looking for out of this business. I believe with my skill-set, and with my fighting and martial-arts background…the thing that I’m best at in this world, is fighting. That’s the thing that I have the most skill at, and therefore, it is my best chance to provide for my family. That is all that I want. If in 5 years, I am still able to train full-time, and I’m still able to walk, that’s important, and I’m able to have a beautiful relationship with my wife and kids, that is all I ask. I don’t want anything more. That is all I want out of this business. There’s one…that I always thought was kind of a joke, but man, it makes a difference: a guy’s boots. When you’re wrestling in an amateur wrestling fight, or a pro wrestling fight, you look at his boots. You can see if his toes are worn or if the heels are worn on the boots. This makes all the difference because now you know, just by looking at the guy’s boots, how he fights. Does he come forward the entire time? Or is he a guy who counters, because he backs up the entire time, and counters what you do? It’s so insane. If you ever get a chance to go to a pro wrestling match, look at their boots. You’ll see guys that have an inch lifted sole, and the front of it has half an inch worn off, or the back is the opposite. It tells you exactly what kind of fighter that is, and what you’re getting into. Another big one he taught me, it seems really simple, but it’s not. So, in martial arts, you do certain things, like, say, somebody gets you in a triangle. You’ll give them a certain amount in order to get out of it, but dad always used to tell me, “The best way to get out of a sleeper hold is to never get in it.” So, when you doing martial-arts, fighting, wrestling, it all like chess. The entire thing is like that. So, you’ve got to pick your moves in such a way that you don’t ever get a chance for them to get you in that. One great one my dad taught me: I always try to get into the ring before I fight. I don’t want the first time for me being in that ring to be the first time that I’m fighting somebody in it. So, I would go in the ring, and there’s things called soft spots and hard spots in a ring. There was this one ring, and Dad always taught me this, and it never helped, it never did anything. One time…I was walking, all of the sudden, there was this insanely hard spot, and I was like,’Whoa, what is that?’ So, I go under the ring and I look, and there’s a bare 2×4, with no canvas, no mat, just bare 2×4. I’m like, “Oh my God! That’s what I’m going to use.” Sure enough, I got a guy up for a double-leg, slammed him right on it, and I knocked him out cold. It’s things like that, that you don’t think about that, but it helps you so much. It’s not just about your fighting. He [Roddy Piper] used to tell me about Muhammad Ali, who would bounce his weight off the ropes and come back and give you extra force. I can’t tell you how many times that I’ve been right in that moment, and I was like, “Oh my gosh! This is what dad was telling me about.” There’s so many things man. People don’t see him so much as a fighter. He’s a wrestler to them, but he’s a judo black-belt trained from Judo Gene LeBell. He was one of the best fighters in the world.